Most middle-class women of the Victorian and Edwardian period were neither ‘Angels in the House’ nor, as described by Lawrence Stone, ‘idle drones’. Civic participation was a class and gender expectation and middle-class women were involved in charitable work from the organisation of charity bazaars to the rescue of ‘fallen’ women. Ladies’ committees were standard within most philanthropic organisations and the election of women to local government posts such as school boards and as poor law guardians began in the later nineteenth century. Workhouses always housed a large number of children and female inmates whose conditions and prospects attracted the attention of middle-class women. 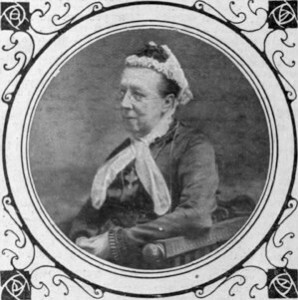 In 1858, social reformer Louisa Twining (below) founded the Workhouse Visiting Society to promote the ‘moral and spiritual improvement of workhouse inmates’.